Has there ever been a time when we’re more in need of irrepressible optimism? 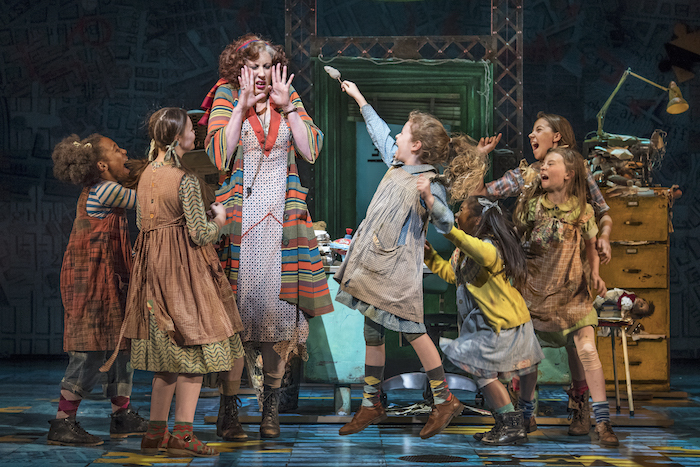 The orphan who convinces everyone around her that “the sun will come out tomorrow” has certainly hit the West End at an opportune moment, and there’s plenty of enjoyment to be had from a show that is, nevertheless, far more throwback than vital piece for 2017. This entry was posted in Journalism, Theatre and tagged america, annie, broadwayworld, children, daddy warbucks, depression, family, hard knock life, kids, london, madeleine haynes, miranda hart, miss hannigan, musical, new deal, new york, nikolai foster, orphan, piccadilly theatre, review, theatre, tomorrow, west end. Bookmark the permalink.